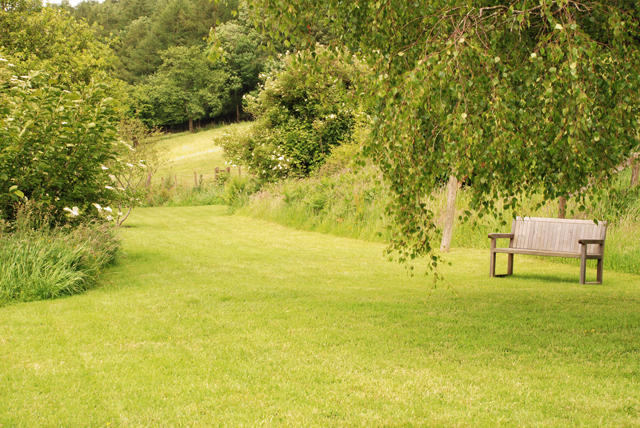 However large of small your garden is, introducing deliberate focal points will help to create a journey around your garden. 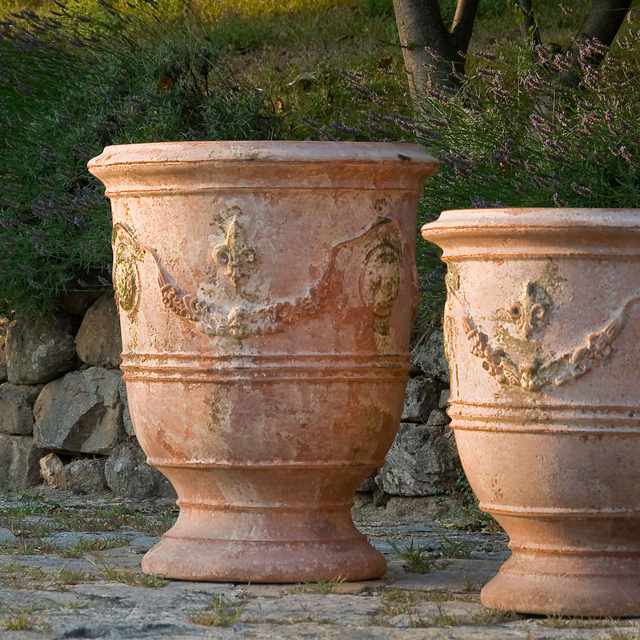 You want any focal points in your garden to be attractive and uplifting. Rotary washing lines and trampolines are not part of this list, but they can demand your attention if they’re positioned in view. I have a thing about washing lines and I’m really strict about putting ours away when it’s not being used. Apart from the fact that they’re far from attractive, they tend to be placed in the middle of the lawn so when you gaze through the window, they block off what’s beyond even if there’s no washing handing out. When I’m tackling a new design for a garden I always think about key viewing points, from the kitchen window for example. You want your garden to look good, but you also want it to invite you outside. Focal points will help to do this. Benches make great focal points as they really do lure you outside. Equally, something like a bistro table and chairs set beneath a tree will do the same job. It doesn’t even have to be fully visible, but it does need to give enough of an impression to make you want to go outside and take a closer look. But focal points can be anything. 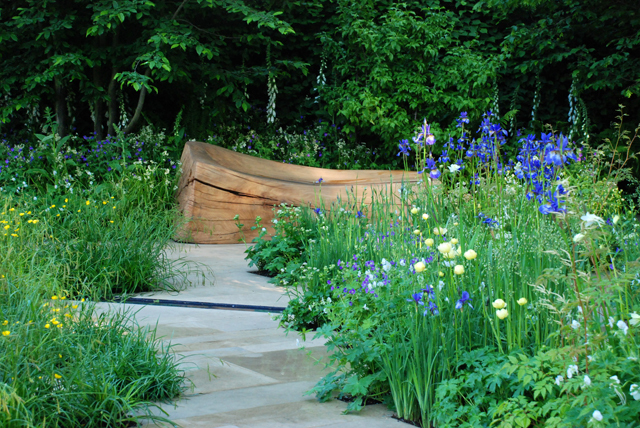 If you’re clever, you can use them to create a journey around the garden, one focal point leading you on to the next. They keep the garden interesting. 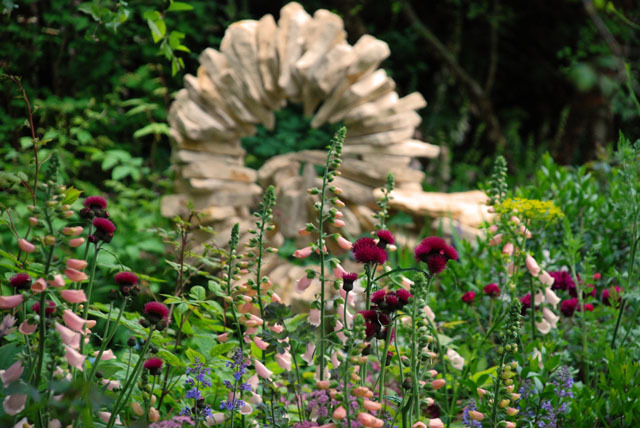 So, for example, you may get to the bench at the end of the garden and find a sculpture hidden in the planting that can only be seen when you’re sitting on the bench. You could have a garden mirror mounted on a wall with climbers scrambling all around it. Or, it could be as simple as a beautiful tree with amazing bark or fabulous foliage. 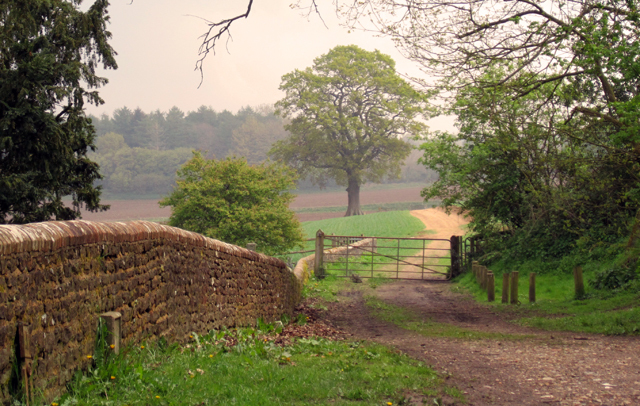 The oak tree above is out in the landscape, but hopefully you get the idea. In fact, borrowing things in the landscape can be a neat trick too. The possibilities are endless, but the results will be the same. Your garden will not only look amazing but it will also speak to you too! 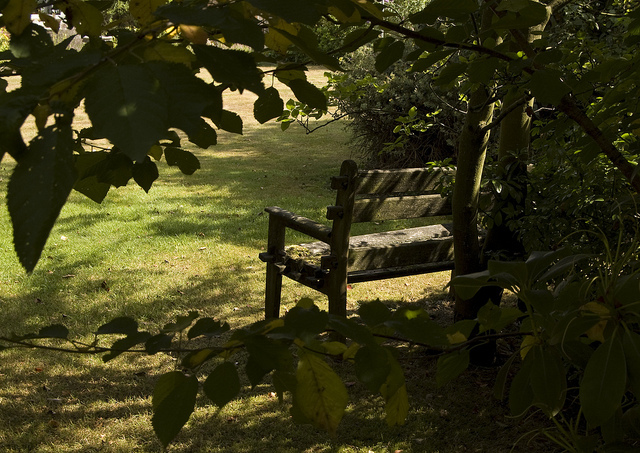 Love your idea of a sculpture placed to be seen from a bench -drawn to take a seat and then rewarded with a special view. So the focal point is important. Thank you for this article, the information is so helpful. I just moved to a new place with a cute garden that needs a small makeover. I had no idea what it needs to be done, but now I see that making a focal point would be the perfect decision. Thank you again. Thanks Jennifer. It’s always good to have secret things in the garden, keeps it interesting even if you know they’re there! Totally agree with you on giving focal points to lead the eye, Beautiful photographs, did you take them yourself?